There is no reason for a victim of a work injury to stay bruised and battered, struggling with no help to get up from the incident. 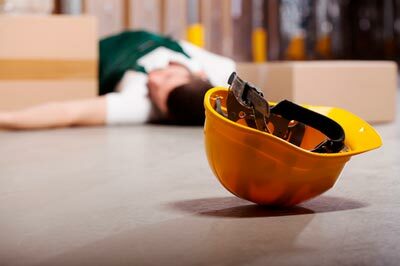 The effects of work injuries on its innocent victims can be harsh and in many occasions grave. These injuries are so severe some victims may have to lose the function of certain parts of their body, particularly for employees of at the industrial sector.The unwanted results of these damaging injuries, in exception of the physical pain and distress, sustained, also come with such troubles as trauma and monetary losses. This is a very messy situation to go through alone and without help, especially as it is usually the result of the irresponsibility of employers who are obligated to do everything possible in other to eliminate potentially hazardous office material. Here in Torrance, our work injury attorneys at Rawa Law Group are poised to be your voice and bring you justice in form of compensation for all you’ve been through. We are your best bet, as our wealth of experience is sure to serve you well in ensuring that your claims are granted as a victim of a work injury. Rawa Law Group is California’s five-star law firm, which has been able to help retrieve hundreds of millions in claims for a large number of grateful clients. All our attorneys are well certified, professional and experienced. Furthermore, our services are offered without the burden of an upfront payment, we will only receive remunerations when we have brought you the compensation you seek. Reach us via the address below, we are here for you.